This summer, Saint Mary’s Parish will again sponsor “At the School of Mary,” a week-long catechesis program for youngsters between the ages of 5 and 12. Since last year, our church renovations have been almost completed: the images of the angels were added in the sanctuary and the floor was completed. Our catechesis this summer will focus on the treasures found inside Saint Mary’s! We will be learning about the saints and symbols found on the walls (and in other places) of our parish church. Sister Colette Marie, who is a novice in the community of the Sisters of St. Francis of the Holy Eucharist, will be working together with us Labor Mariae Sisters to provide catechesis classes. This year we will be combining our catechesis with “Chant camp,” which will be led by Mrs. Angelina Gearke, as it has been in years past. Mr. Nathan Gearke will teach folk dancing during the week-long catechesis. Young men and young ladies who are at least 13 years old are invited to register for “At the School of Mary” as assistants. Your help is very much desired and needed! At the School of Mary will take place from July 9th through the 13th from 8:30 A.M., until 11:30 A.M. On the final day, Friday, July 13th, we will have a pot-luck lunch in Fitz Hall after the 12:00 Noon Mass. At the lunch, we will be playing a Jeopardy Game with prizes for the children about the things learned during the week. The children will also sing some chant and will perform the folk dances learned. Please register by using the online form or by contacting the parish office at 816-252-0121. We hope to see many of our young parishioners At the School of Mary! 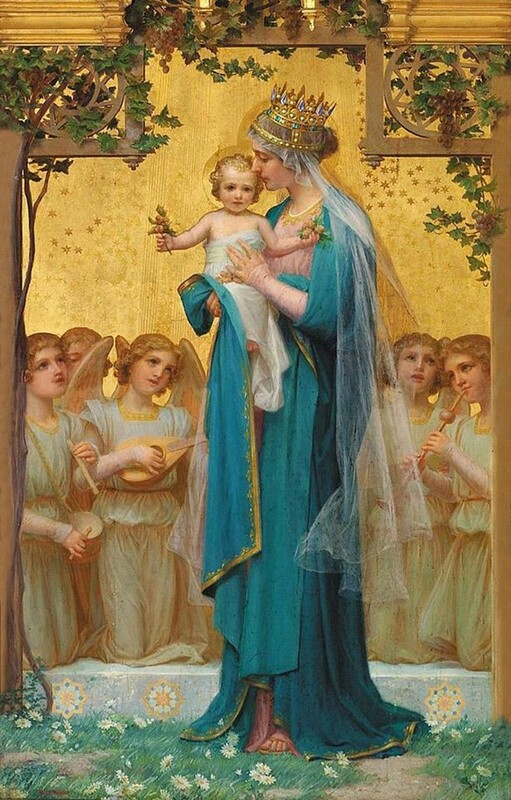 Please pray that Our Lady will bless “At the School of Mary”!